We're seeking an actress who is able to disguise the age of her voice and sound like a young girl. You will be the singing voice of our original movie monster, the Banshee. You will sing an Irish lullaby in a child's voice as a way to lure your victims to you. Please submit an audition of yourself singing a lullaby of your choice. 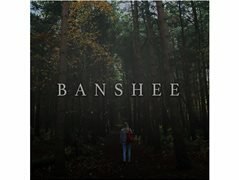 BANSHEE is a short horror film produced by eight ambitious students at the University of York. We cannot pay you for your time but can however reimburse all expenses and of course you will get to star in a film that we intend to share on the festival circuit. TBD when agreed but will need to be able to come to University of York for a recording session. Expenses : Travel, food and drink covered. We legally cannot work with anyone under the age of 18 thus we need an adult whose vocals can resemble a child.